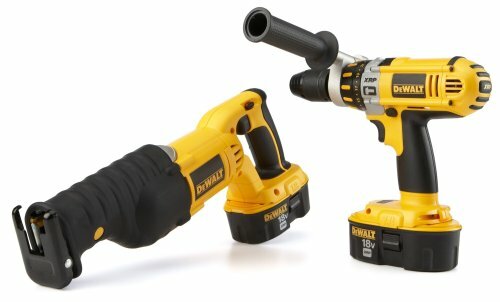 DeWALT's version of cordless convenience sacrifices nothing in the way of speed and power, especially evident in these two tools. 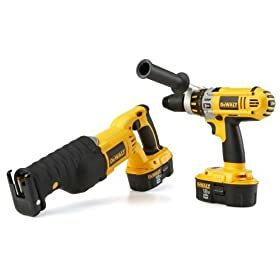 First up is a hardworking brute of a hammerdrill that handles and balances beautifully and packs a patented three-speed transmission that gets you from 0 to 2,000 rpm in drill mode and 0 to 34,000 blows per minute in hammer mode. The half-inch Rohm chuck grabs the bit with carbide jaws and centers it quickly, then locks it in place with its ratcheting system. 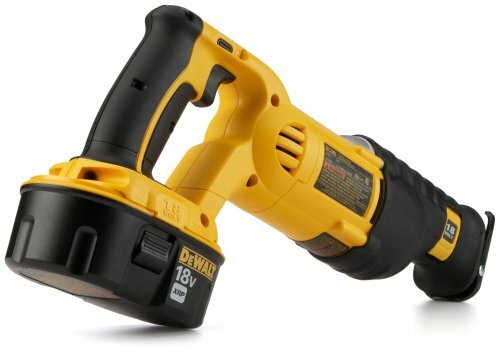 We were pleasantly surprised at how very little vibration is felt, even at max. 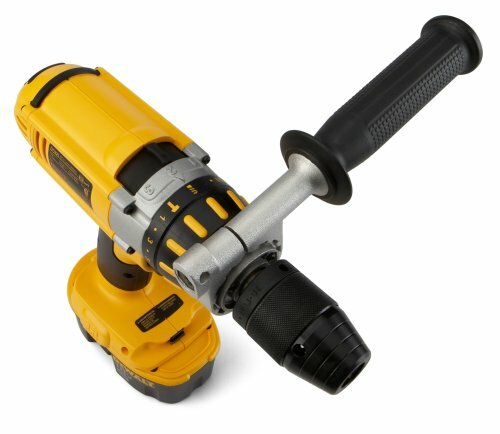 The 360-degree handle is a nice feature that adds perfect control, and we found the fit and finish of the whole drill just superb. 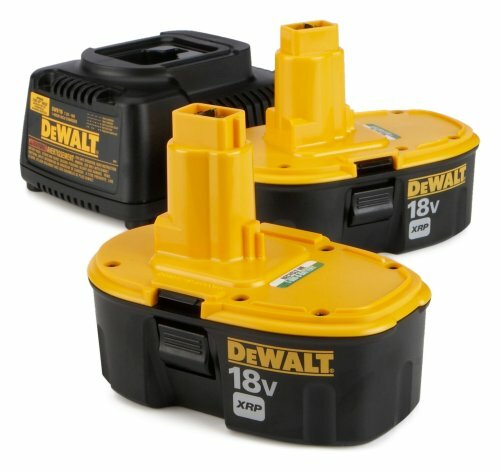 The saw and hammer/drill are the normal Dewalt fine quality. Just a couple of minor complaints. First, the saw comes with just one blade, and it is very course. Second, included in the kit were two red plastic rectangles, about 1.5 x 7/8 inch, which look like they would cap something. I have no idea what they are for, and there is no mention of them in any of the literature. Third, speaking of said literature, the "manuals" are flimsy sheets of paper with tiny lettering and tiny pictures, printed in multiple languages. At this price level, you would expect something usable. 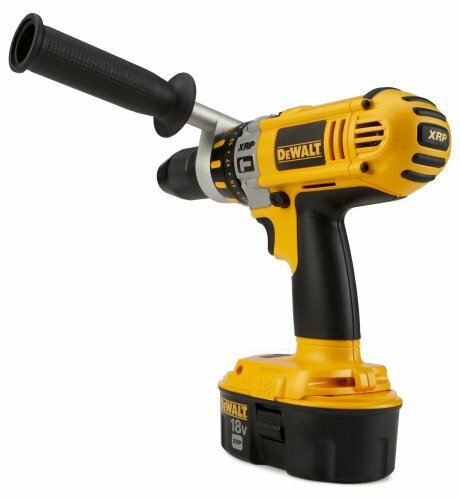 First of all these tools are awesome, I use dewalt tools daily and have seen them take more than their share of unreasonable abuse. The batteries tucker out after a while but that's to be expected, some of the older ones in my shop are starting to show wear on the gears. But those are older models that have been severely beaten. Secondly I would like to review this genius's review, the square peg goes in the square hole! Maybe you didn't play that game when you were a kid. 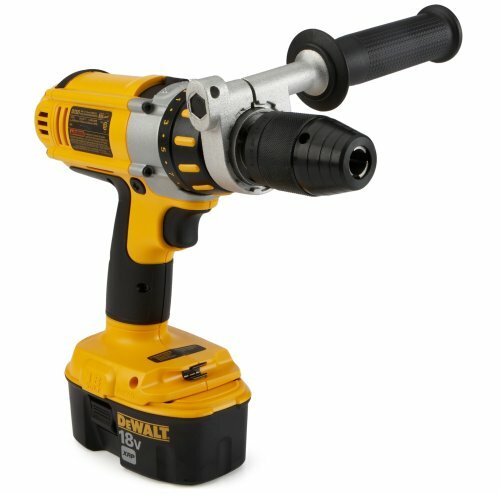 If you need an instruction manual for a drill, maybe you should start off by buying a helmet. 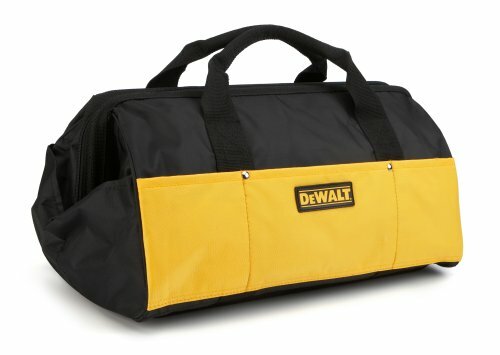 People buy the reciprocating saw to cut different things, and when you buy quality tools, you aren't going to get a variety pack of goodies for it. Just like anything you are going to have to buy the accesories seperately, or maybe they should start selling these with a pair of jeans and a tennis raquet? 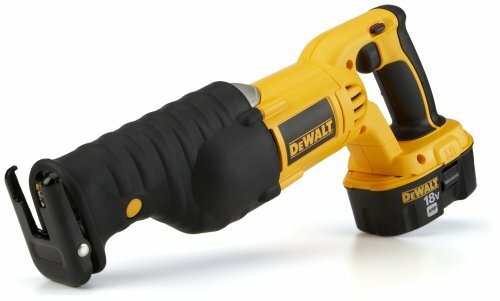 Dewalt Rules the cordless power tool market! These are great products! Big enough to handle most any job. 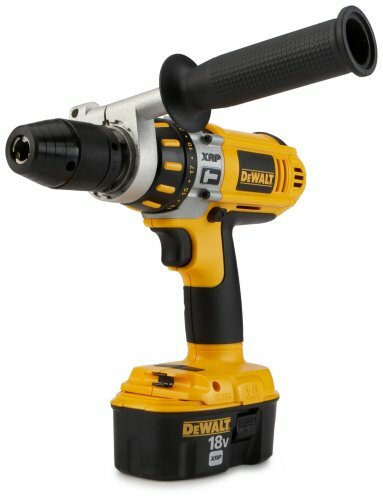 I have been using the same hammer drill @ work for the last 2 years & it has never failed to perform. 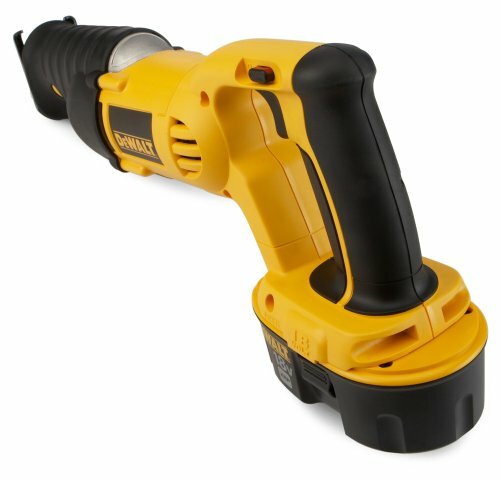 I would recommend both the reciprocating saw & the hammer drill!